If you are looking for a brand new beautiful home in a quiet and nice neighborhood for your entire family, this is what you want. 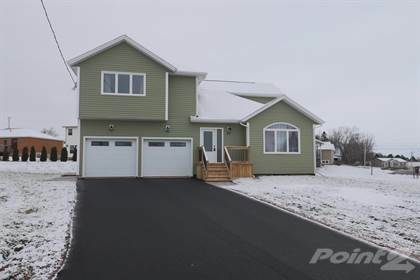 This open concept home is modern and completely functional to accommodate a good size family. The main level features a good size bright living room, that flows into a good size dining room over looking an over-sized backyard deck and then to a modern kitchen equipped with white cabinets, beautiful quartz counter top, under mount sink, good size pantry and all stainless steel appliances. Second floor has master bedroom with en suite bath and walk in closet, also has another two good size bedrooms and a full bathroom for your family. In the basement, there is a large open common area that can be turned into a cozy family room or a home theatre room. As well, a large multi purpose room and a large full bath. All measurements are approximate and should be verified by the purchaser. Book your private viewing today. Hi, I'd like to find out more information about 27 Old Moore Court. Thanks so much!